You are an animal in the pool and you need a look as fierce as you are! 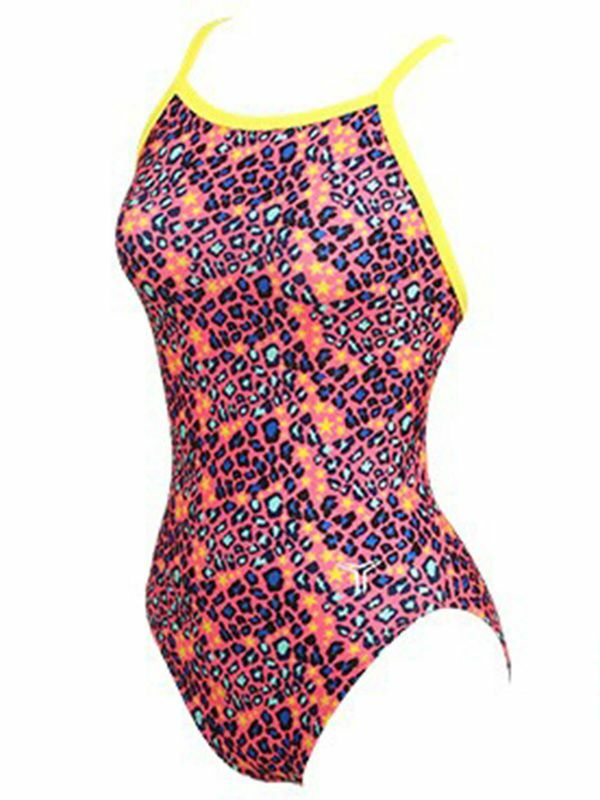 Meet the Tornado Animal Instinct Women’s One Piece. This sassy salmon, indigo, and sky blue leopard print is dotted with golden yellow stars. With a neon lemon accent strap, this look is a gorgeous one of a kind- just like you! Like everything from our fave up and coming Korean swimwear company, the Tornado Animal Instinct Women’s One Piece has everything you need to fly through the water at top speed!